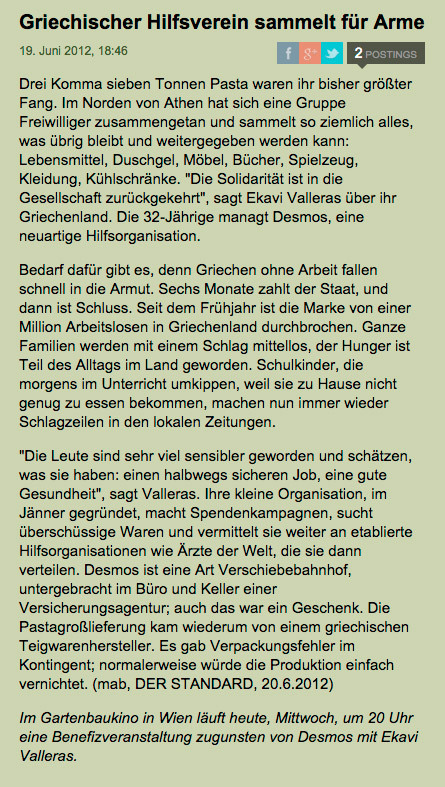 Echo100Plus is a registered Austrian charity, which was founded in 2012 by a group of friends, most of them Austrians with strong ties to Greece, who were moved to take action when the scale and intensity of the growing economic and social crisis became apparent. Echo100Plus acts as bridge between NGO’s and private initiatives in Greece and their counterpart abroad, all with the common aim to support Greece in these difficult times. As a result of the economic and financial crisis, the Greek social and public welfare system cannot even begin to cope with the problems it faces, leaving it up to private humanitarian organizations and aid initiatives to tackle the increasing poverty and social distress. 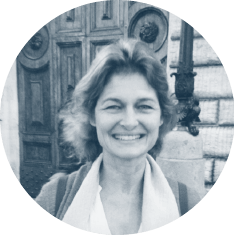 Echo100Plus determined that the most efficient way to operate was to identify a few outstanding local NGOs, which were already providing crucial support to the impoverished Greek population. Constantly underfunded and understaffed, these initiatives manage to improvise on small budgets and rely heavily on the help of volunteers. Since it has become almost impossible to get funding from the Greek private sector, let alone from government sources, Echo100Plus decided to step in and work towards securing funding from international sources. The refugee crisis hit Greece when it was already in a critical economic situation, utterly unable to deal with additional demands. Thousands of people, fleeing war-torn Syria and other countries in the region affected by war, are arriving daily on the Greek islands, resulting, in some areas, in a humanitarian state of emergency for both the refugees and the local Greeks population. In response to the desperate shortage of aid for the refugees, established NGOs have extended their aid projects to also include refugee support, and new initiatives have sprung up all over Greece, with the aim of addressing the most urgent needs, which in some instances are literally matters of life-and-death. 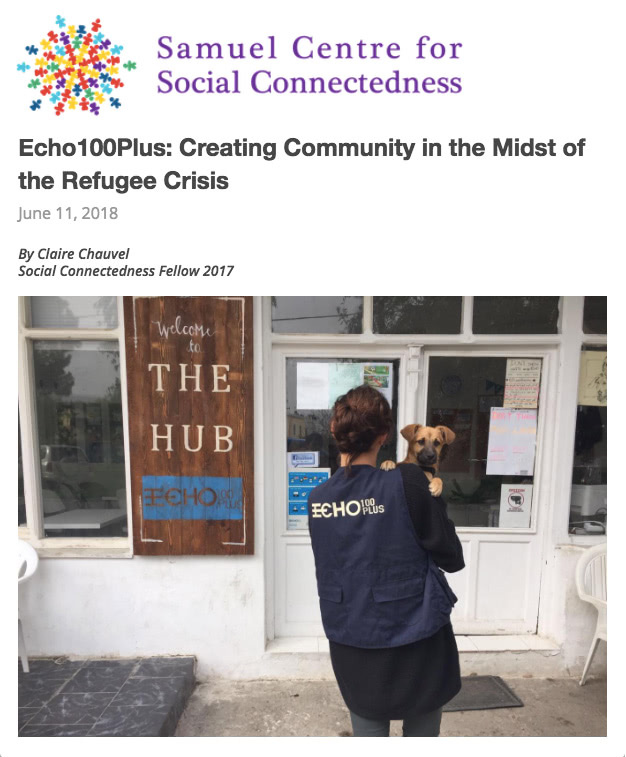 Echo100Plus has followed the lead of these deeply admirable organizations, and has extended its Greek solidarity program to support several refugee aid initiatives. According to UNHCR statistics more than 856.000 refugees and migrants arrived in Greece in 2015, another 130.000 have crossed the sea from Turkey within the past three months alone. In 2016 already more than 120 lives were lost. The islands close to the Turkish coast, such as Lesbos, Chios, Samos, Kos, and Leros, are the most affected. These islands are completely unprepared for receiving such high numbers of refugees, arriving on a daily basis. Refugees, who for the most part have already traveled hundreds of miles through Turkey, arrive on the Greek coasts in inadequate, ill-equipped and often damaged rubber boats that have been sold to them at extortionate prices by the human traffickers in Turkey. The dangerous circumstances of this sea passage make accidents inevitable, and in this year alone, hundreds of people have lost their lives crossing the Aegean Sea. Of those surviving the journey, many have suffered enormous physical and psychological trauma, especially the children. Upon arrival on the various islands, the police gather refugees in improvised shelters, until they are registered and their documents are issued, without which refugees cannot continue their journeys. This process normally takes up to two days, depending on ferry schedules and the availability of staff and materials. During their brief stay on the islands, refugees need dry clothes, shelter, and food, as well as basic medical attention. Despite the presence of the UNHCR, MSF, and other international humanitarian aid organizations, most of these basic supplies and services are in fact provided by private initiatives and volunteer workers. We are urgently looking for volunteers to support our aid programs on Leros and in Ritsona. Please apply to join our efforts! Season's Greetings and to a happy healthy 2019! 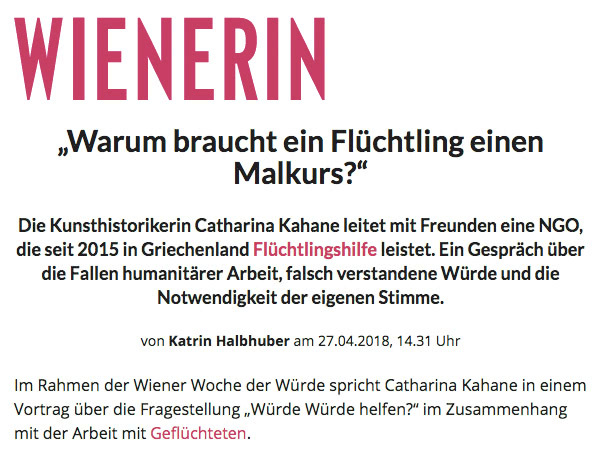 Warum braucht ein Flüchtling einen Malkurs? another challenging year has passed and Echo100Plus is now entering its third year of aid programmes for refugees in Greece. Our NEWSLETTER 2017 shall update you on this year’s operations and current needs, but foremost we want to thank everybody who has supported us in 2017: Without the help of your generous donations and the support of this year’s 250 volunteers, none of this would have been possible. The closing of European borders in March together with controversial agreements with Turkey, and an asylum process that never seems to advance have transformed last year’s frenzied influx of refugees to Greece to an eerie standstill. 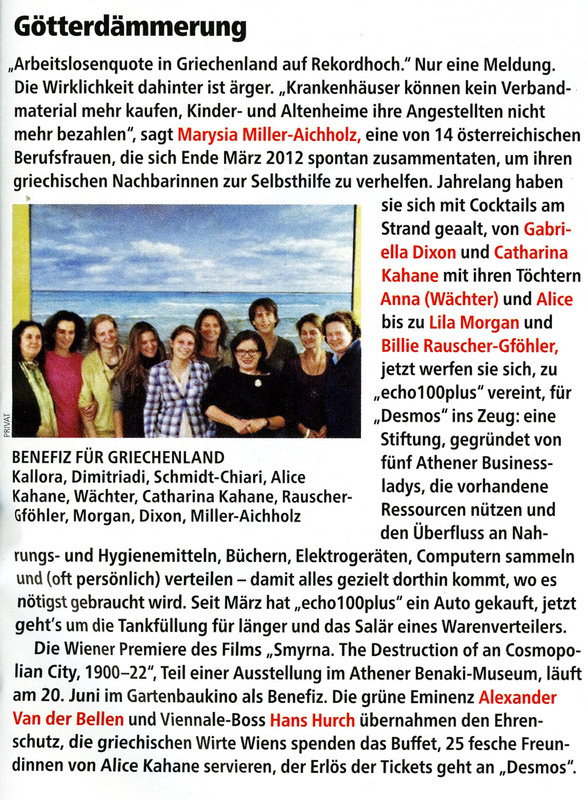 Article in austrian newspaper "Die Presse". Article in austrian newspaper "Profil". 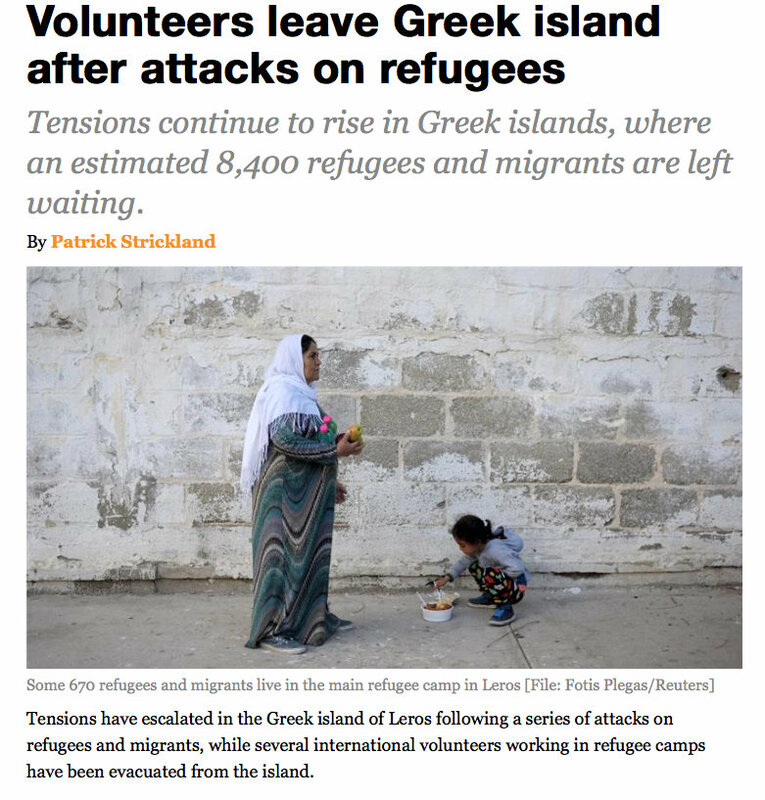 Ever since our arrival on Leros island in September 2015, we have been cooperating closely with the Leros Solidarity Network (LSN), a local NGO under the guidance of Matina Kativeli and Spiros Daniil, that has been supporting locals in need and providing aid for refugees arriving on the small island for many years. In December 2015 LSN was able to open „PIKPA“, an accomodation that serves as an alternative to the dire Hotspot Camp, hosting the most vulnerable people arriving on the island (unaccompanied minors, pregnant women, families with small children, severly traumatized and injured individuals). Together with other international donors, Echo100plus has provided funds for the refurbishing of this structure, continually helps out with volunteers when they are needed and together with ASN runs a bi-weekly hygiene distribution for the residents of PIKPA. Poseidon Storage is the central distribution platform for all the camps on Leros and was set up by local volunteers. As in kind donations are used up very fast, restocking has become necessary, Echo100plus has agreed to pre-finance the monthly need for the most necessary items for the refugees: shoes, backpacks, sleeping-bags, warm clothing, and baby milk-powder. In order to place bulk orders for the wholesale price this pre-financing is necessary and we try to get back as much as possible through donations. Please use our online – shop to help to supply Poseidon Storage with the necessary donations in kind. 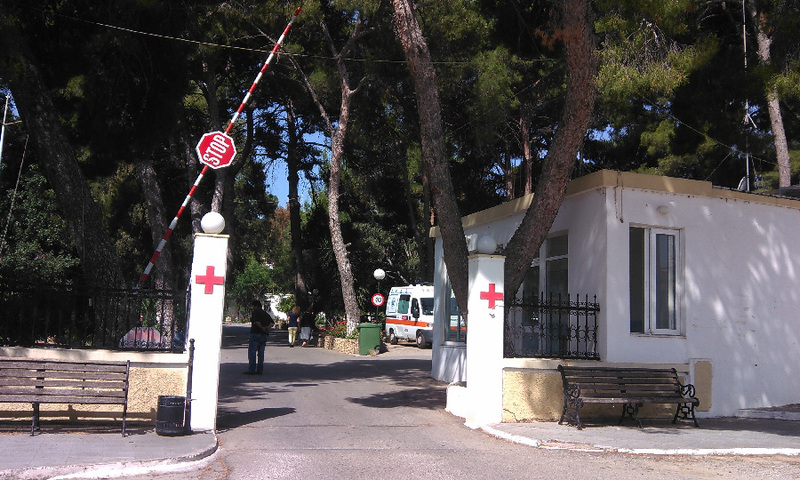 Due to the Greek financial crisis the Leros Hospital is understaffed and underequipped; since the hospital is additionally treating refugees for free its means are stretched to its limits. In order to provide the hospital with the necessary fuel to run the heating of the building in winter, Echo100Plus was able to convey this need to Desmos, our key cooperation partner in Greece. With their funding program “Desmos gives Warmth” they were able to answer Leros Hospital’s request for heating fuel. Additionally, Echo100plus is now fundraising to provide Leros Hospital with some essential supplies such as Pulse Rate Monitors, Pulse Oximeters, Infusion Sets, etc. If you are interested in supporting this cause see the relevant offers in our online–shop. The closing of European borders has resulted in 55,000 refugees suddenly being stuck in Greece. These people have been distributed to live in several make-shift camps all around the country, and are expected to stay there for an extended period of time. The camp in Ritsona, located in East Attica, was created in the beginning of March 2016. So far, the people staying in the camp have been provided with tents and three meals a day by the military. 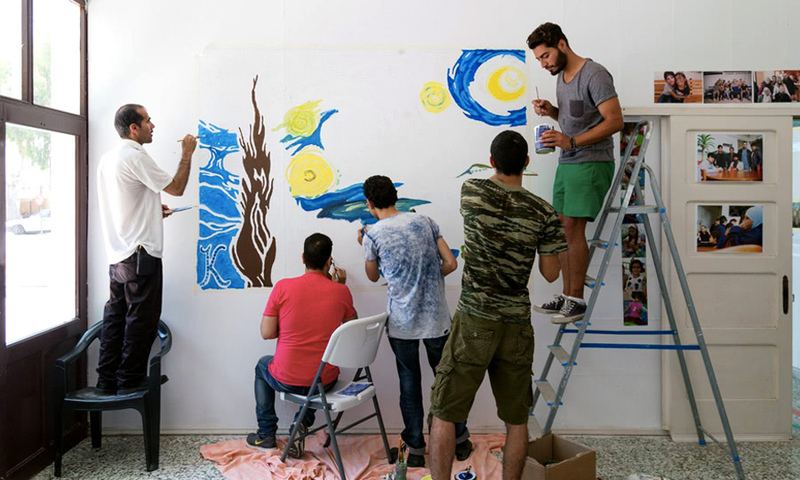 Since the Greek government is lacking the funds to supply the refugees at Ritsona with proper housing and sanitary facilities and other vital day-to-day needs, a group of local and international volunteers have stepped in to support the people and improve the living conditions at the camp. Echo100Plus has offered its services to support the Ritsona camp with its volunteers, as well as its resources. Collaborating with I Am You and Lighthouse Relief, Echo100plus has taken over part of camp management. Our efforts in Ritsona, are focused on distribution of food, clothing, and daily supplies. 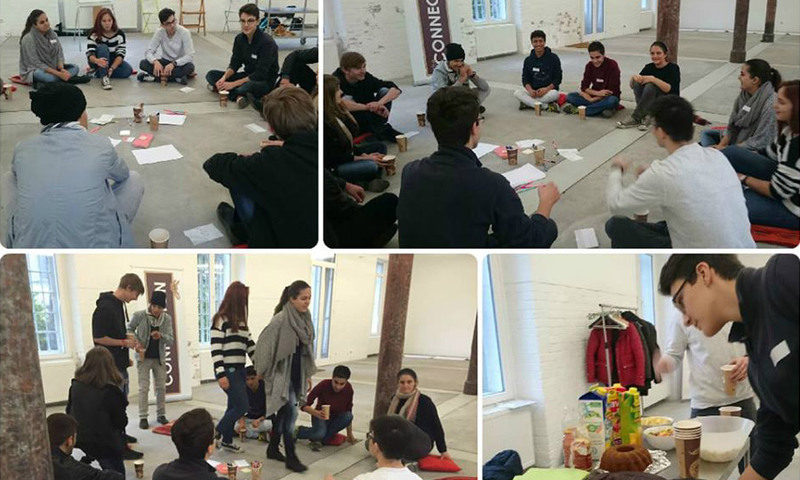 For the past four years the CONNECTION’s main objective has been to facilitate the integration of refugees in Vienna. They offer German courses for all ages in addition to mentoring programs for youths. Echo100Plus is supporting the CONNECTION by providing them with a loft in Vienna to be used as learning centre. 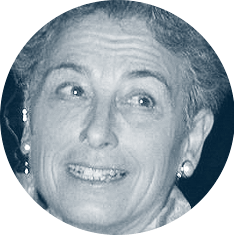 There, refugees can attend various classes ranging from lectures on “Handling Money safely”, held by Echo100Plus member Annunziata Schmidt-Chiari, to movement classes by Echo100Plus members Annabel Dimitriadi- Schwarzenberg and Anastasia Stoyanides. Annabel and Anastasia also host movement classes in Annabel’s private home with the aim of raising money for the CONNECTION. 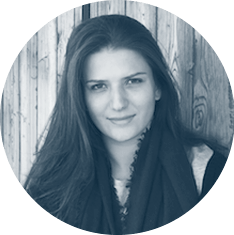 Desmos is a Greek non-profit foundation focused on humanitarian aid. Based in Athens, they now work nation-wide, and serve not only the Greek population but also refugees from the Middle East. 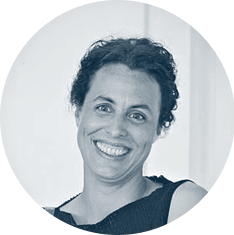 Their aim is to act as a “redistribution platform” that identifies on the one hand, donors who have surplus consumer goods, and on the other hand, individuals and groups with urgent needs. The products they handle range from foodstuffs to more durable goods such as clothes, books, and children’s toys. Supported in large part by volunteers (individuals, companies, and manufacturers), Desmos is a highly efficient virtual platform to target available surpluses towards the most pressing demands, in the process reducing waste by re-circulating goods to successive consumers, and thus contributing to ecological sustainability. Our first event was a charity benefit, the film premiere in June 2012 of Maria Iliou’s documentary, “Smyrna. 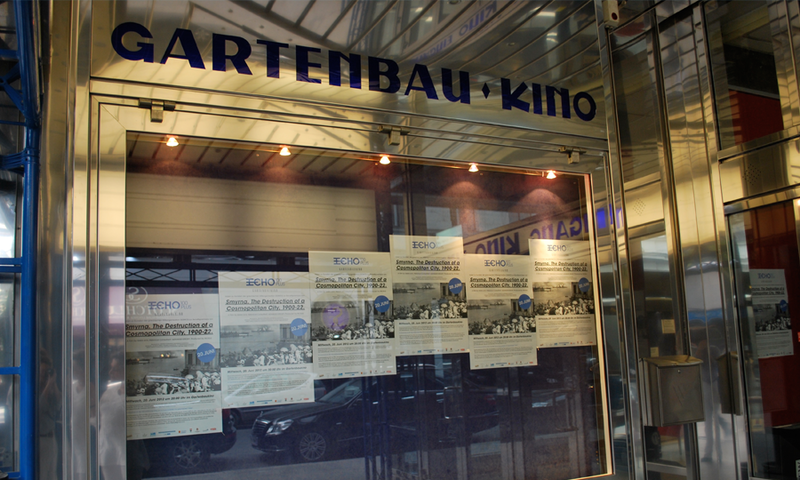 The Destruction of a Cosmopolitan City, 1900-1922”, with the generous support of the Gartenbau Cinema. The proceeds from ticket sales, combined with additional donations, went to support Desmos’s simple but brilliant concept, helping them to expand their infrastructure, develop their website (which is crucial to their project), and rent short-term storage space for donated supplies. 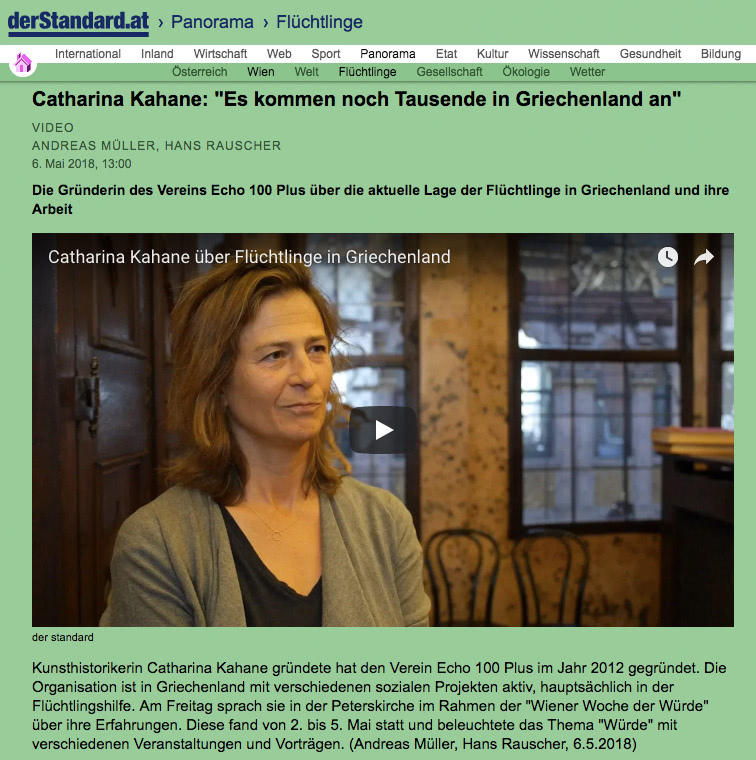 In the course of this first event, we were also able to win over a major donor, the Katharina Turnauer Privatstiftung, which provided Demos with a collection-and-delivery van and financed additional employees. 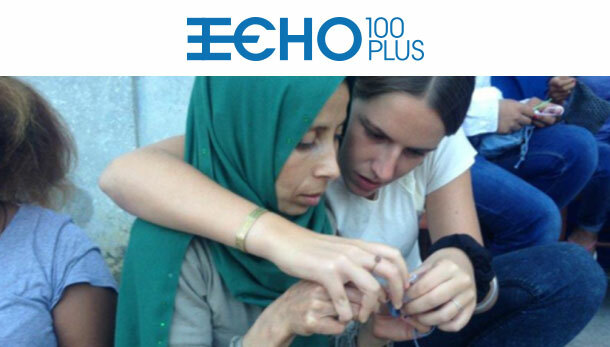 Echo100Plus and Desmos have now expanded their cooperation to address the needs of refugees in the Greek islands. With the help of Desmos’ infrastructure Echo100plus was able to provide ARSIS, a Greek NGO specialized on the support of youth, with a large number of sleeping bags for their camp in Idomeni and17 wheelchairs for children taken care of by „Save the Children - Greece“ in Vathi’s detention centres. The Hellenic Rescue Team (HRT) - Samos, headed by Mr. Dimitris Kalatzis, is part of the Greek civil protection organization (ELLENIKI OMADA DIASOSIS PARATIMA), but works on a volunteer basis. Although in theory the HRT is in charge of general rescue missions in the area of Samos, the refugee crisis has meant that in fact it has been called almost exclusively to rescue missions at sea, saving lost and uncontrollable boats that often carry as many as 50 refugees. The rescue boats of the Samos Port Police, by contrast, are unsuitable for tricky rescue missions, lacking the speed and maneuverability necessary for work close to the rocks and cliffs of Samos’ steep coast. 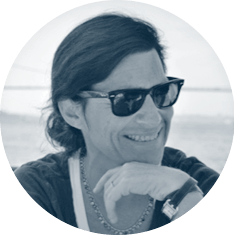 Echo100plus initially raised funds from a small circle of friends and foreigners with houses on Patmos and other islands, but this expanded rapidly to include a much broader group of donors. 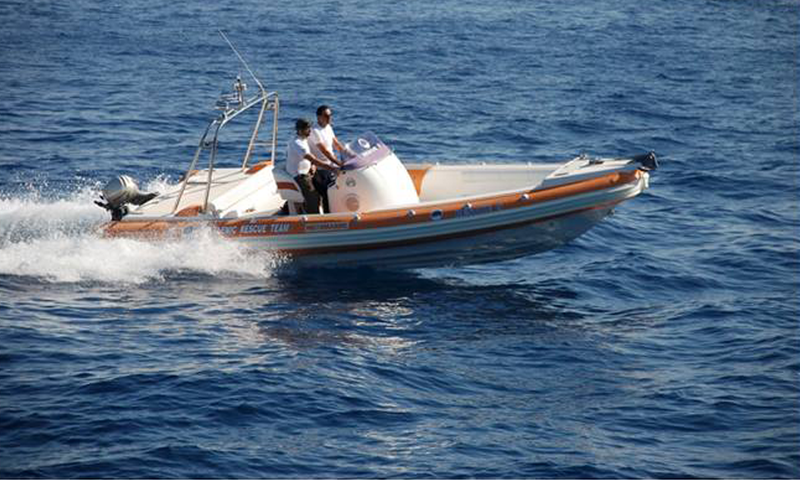 These first funds were immediately applied to the purchase of a well-equipped and powerful “Zodiac” motorboat, complete with a state-of-the-art radar system, which could reach refugee boats which had wandered into dangerous waters. This boat has been in constant use, and has already saved many lives. In addition to the purchase of the boat and its technical equipment, Echo100plus is helping to provide funds for fuel and maintenance costs. As the boat also has to go out in bad weather, constant servicing and repairs are necessary. The port of Karlovassi, which has a constant stream of boat refugees, is still largely ignored by local authorities and by most international humanitarian aid organizations, which have concentrated their efforts on the needs on the refugee camp in the main port of Vathi. The local population has mostly been left to cope with the crisis on their own. A group of local volunteers, in the meantime a registered organisation by the name Allileggii Karlovassi,(LSN) has managed to adapt a small building facing the port into a shelter where refugees can receive the most basic support: clothing, food, and sanitation facilities. With the logistical support of the Athenian organization Desmos, and thanks to a generous donation by Mr. Tobias Mayer, Echo100Plus managed to make basic but significant improvements to this provisional refugee camp, purchasing toilets and showers, and extending the roof to afford additional protection from sun and rain to refugees forced to wait outside. In addition Echo100Plus is providing Allileggii Karlovassi with an office and storage facility in the neighborhood of the refugee centre. 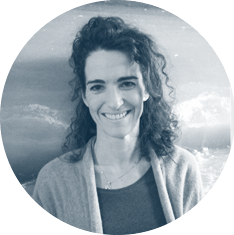 In December 2016 we started a pilot project, the so called Echo-HUB on the island of Leros. 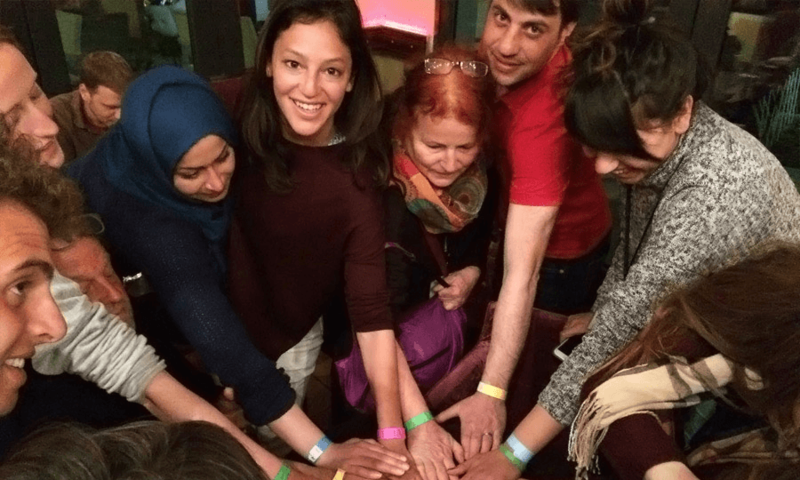 The E-Hub is a friendly and safe space where refugees over the age of 18 who reside in R.I.C. facilities (i.e. the Hotspot, Pikpa, the Villa at the Hospital, ARSIS apartments) and disadvantaged members of the Greek community can learn and practice new skills and activities. With our volunteers we offer a full programme of services as well as access to professional staff, technology lab, a small library and other educational materials in an attempt to prepare and support adult refugees facing arduous challenges of migration and integration. 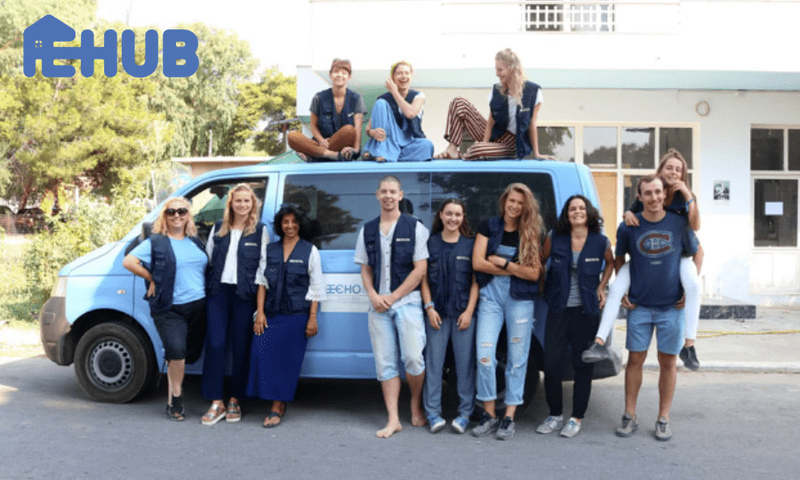 In response to the biggest refugee crisis in Europe since WW2, Echo100plus has set up a platform for volunteers coming to Greece from all over the globe to offer their help to arriving and stranded refugees and to show solidarity with the totally overwhelmed local society. The purpose of our Volunteer program is twofold: With the help of our volunteers we strive to alleviate the daily life of those stuck in the camps for an indefinite amount of time - we distribute food, clothes and hygiene items and organise educational and recreational activities to counter post-traumatic stress, boredom and depression, that are bound to lead to social unrest, if not met. On the other hand we want to give caring individuals access to experience a situation, that is too often ignored or distorted by the media. 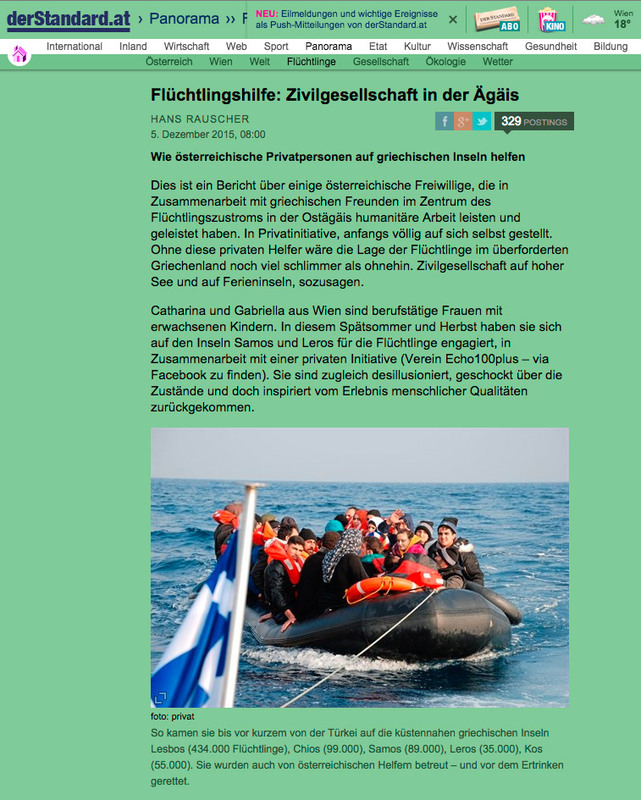 By facilitating the encounter with people fleeing war-torn countries to find protection in Europe, we hope to undermine the angst-inducing tactics of spreading populism and to contribute to the formation of a civil society, that reacts and acts when European politics and authorities are failing to meet standards of a humanitarian response. Since October 2015 we have had more than 500 volunteers from over 30 nations, who spent a minimum time of two weeks to up to six months on the ground. 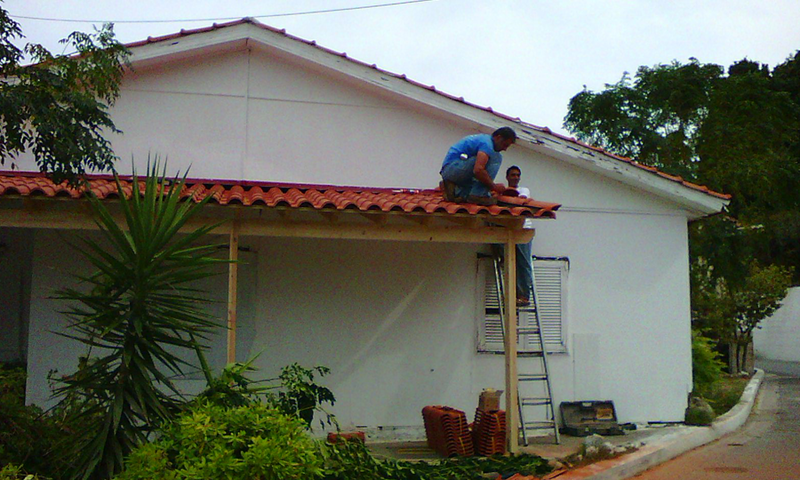 To help them sustain themselves during their volunteering time, ongoing financial support is crucial. Refugees are usually referred to as numbers. Rather than as individuals, to many, they represent an anonymous, threatening mass. With the Hub Echo100Plus strives to give refugees a space to regain their individuality by expressing themselves in a variety of art forms such as arts and crafts, pottery, sewing, cooking, creative writing, narrative nonfiction, theater, music, film, photography, and radio and podcast production. 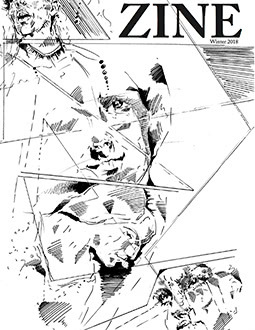 We are proud to present their selected works. 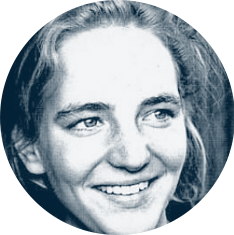 Master Studies in Social and Cultural Anthropology at Vienna University. 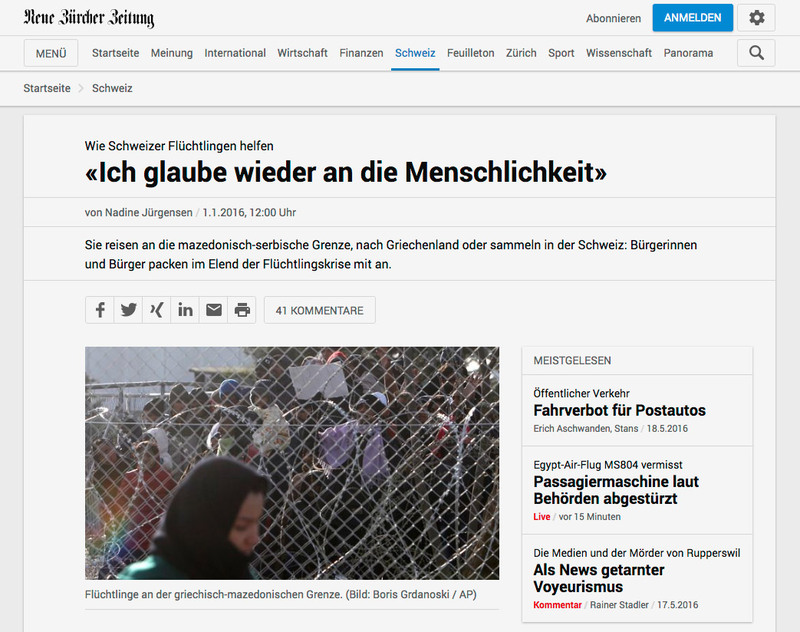 Vienna Red Cross: Department for Refugees, integration and family reunion projects. Project manager for various social projects at Austrian private foundation: focus on poverty relief, integration through education, empowerment and social business projects. 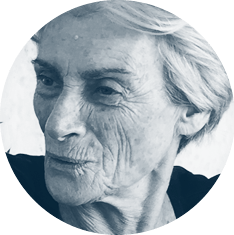 Greek mother, childhood and school in Athens, home on Patmos. 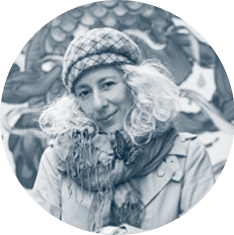 Art historian, teaching at the Department of Art History at Vienna University and the University of Applied Arts Vienna. Widely published on Early Modern and Contemporary Art. Home on Patmos, Greek relatives. Editor, translator, author and forestry estate manager in Carinthia, Austria. None, other than Greek friends and fascination with Herodotus earlier on. Work in real estate field. Past involvement in charities in the USA and Greece. I was born and grew up in Greece. MA degree in Modern History and minor in Economics at University of St Andrews, Scotland. 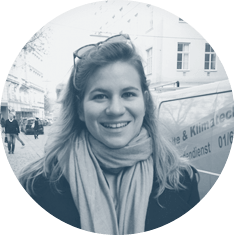 Previous experiences and internships with non-profit organizations in Europe and USA. Greek relatives, home in Greece. Currently studying Social and Cultural Anthropology at Vienna University. Internships at various companies in Austria. Charity work: Projects Abroad in Liberia, Costa Rica; Good Shepherd Sisters in Bangkok, Thailand. 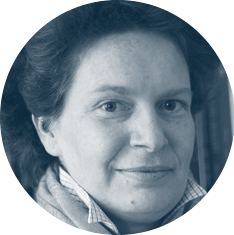 In the course of my career I have worked with street-children for Concordia in Bukarest, for good.bee in the Microfinance area, as well as advising refugees for the Caritas in Vienna. 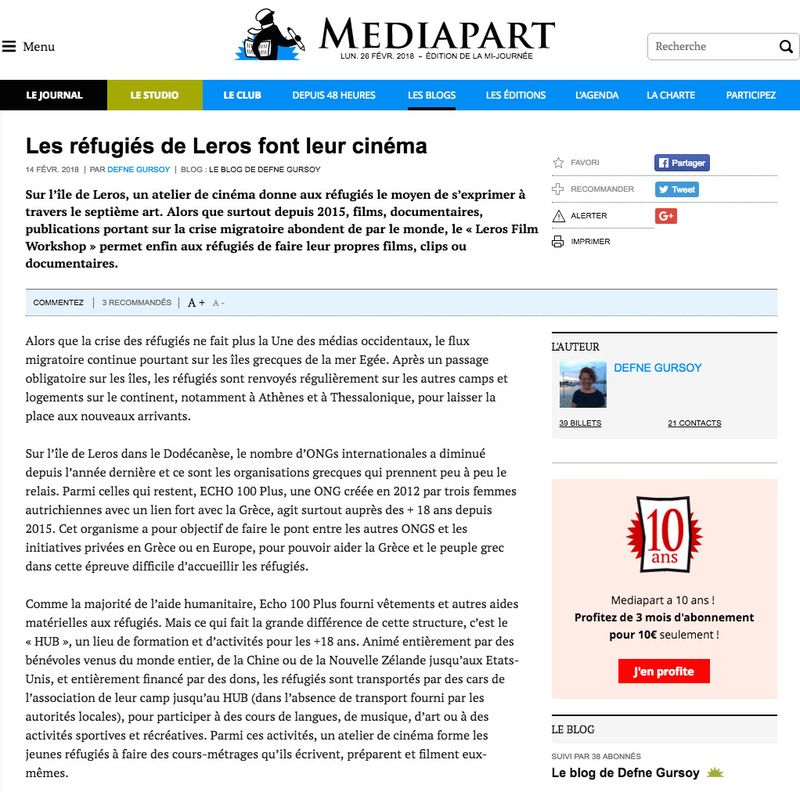 Im am very happy that I am able to contribute to the support of refugees in Greece. Masters in Japanese Studies at Oxford University, UK. Has worked in teaching/education and zoos. Currently focusing on charity work through movement classes/dance. Greek citizen, grew up in Greece, home on Patmos and Korfu. Art classes for minors at Federal Agency for the Reception of Asylum seekers in Belgium. 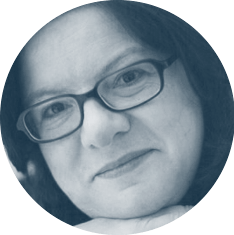 Psychotherapist, coach, mediator and counselor of groups, teams and companies. regular visits to the country, several Greek friends. In the last two years I am concerned about the economic situation of the country and the flow of refugees into Greece. Civil Society has to act - responsibility of each is asked. The closing of European borders in March together with controversial agreements with Turkey, and an asylum process that never seems to advance have transformed last year’s frenzied influx of refugees to Greece to an eerie standstill. Tens of thousands of refugees now languish in miserable and unsafe makeshift camps, or on the streets of Athens and Thessaloniki. Thousands more are detained on the islands and live in permanent fear of deportation. As a result, families are torn apart, children are deprived of the basic right of education and people who desperately need income cannot work. 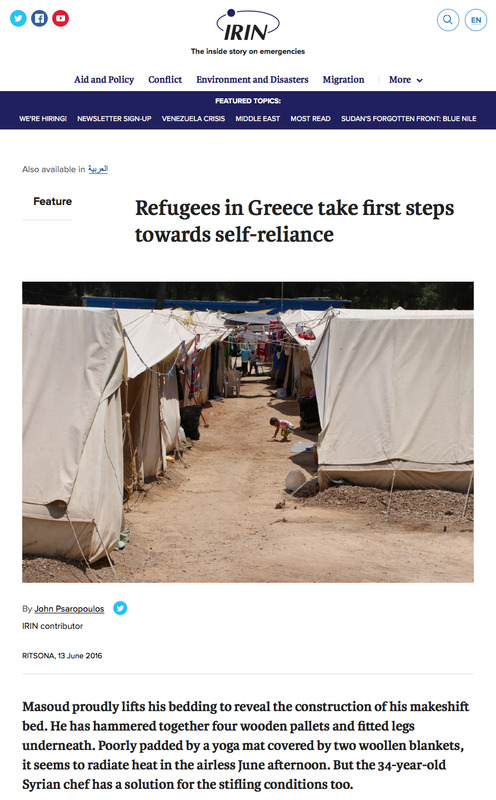 In short: The situation in Greece is bleak and uncertain, and despair is on the rise. In response to this deteriorating situation, we started this year a second volunteer program to offer our services to the Ritsona Refugee Camp in Attica. In addition to providing for daily needs, we are determined to improve morale at the camp and enable residents to put their skills to good use or acquire new ones. Both in Ritsona and on Leros, our devoted volunteers are running language classes, craft projects, sports programmes and are hosting workshops to engage and educate both young and old. Where the refugees are treated as an administrative nuisance by the government and the authorities, we strive to make their treatment more humane. We could not have done any of this without the tireless efforts and dedication of our volunteers—275 from all over the globe since we started. And we could not have done this without you: Your trust in us and in our mission, your solidarity, and – last but not least – your generous donations, have made all this possible. We THANK YOU from the bottom of our hearts! Volunteer Program We need funding to support some of our volunteers with travel and accommodation expenses. Echo Educational Centre: We are currently adapting an empty building on Leros to be used for language classes, workshops, a recreational and safe space for women, and for distributing clothes and hygiene items. Winterization: Temperatures are dropping and residents need warm clothes and shoes. Community Kitchen: As the army has announced it will suspend catering services in Ritsona Camp by the end of this year, we need to provide residents with the facilities to cook their own food. Rescue Boat: The ‚Hellenic Rescue Team- Samos’ needs continued financial support for the running and maintenance costs of the rescue boat Echo100plus bought in 2015. Please consider making a donation to ECHO100Plus! Click here if you would like to get registered as a volunteer. In the last two months arrivals from Turkey have picked up again, with 2,200 arrivals on Samos in October alone. The ‘Hotspot’ is run by RIS (Reception and Identification Service), the military and the police. It opened in March 2016 and replaced the informal ‘Poseidon Camp’ in town. Refugees are accommodated in 110 container housing units, enclosed by barbed wire fences, and are detained until they are registered. Once registered, they may leave the facility, but not the island. From March to July, Echo100Plus was the only NGO providing services inside the facility. Since July, the ‘Hotspot’ is closed to all NGOs. A historic building in Lakki converted into an open reception centre by the Greek NGO Leros Solidarity Network. It is officially run by RIS and hosts the most vulnerable cases among the refugees. 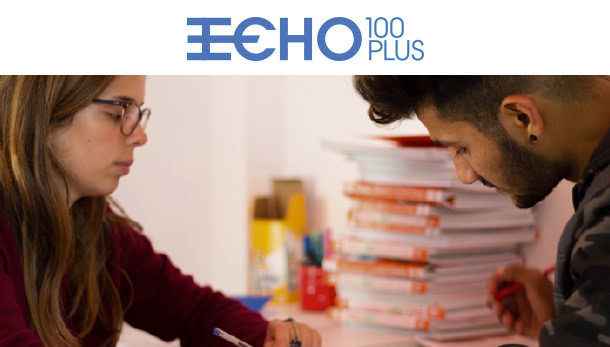 Echo100plus provided financial and volunteer support since its opening in December 2015. As NGOs are not allowed inside the ‘Hotspot’, residents are missing out on the most basic items such as hygiene products and warm clothes. Access to education is difficult. Ritsona Refugee Camp was opened in March to accommodate 900 refugees, mostly from Syria, who had been evacuated from the Greek-Macedonian border and the Aegean islands. 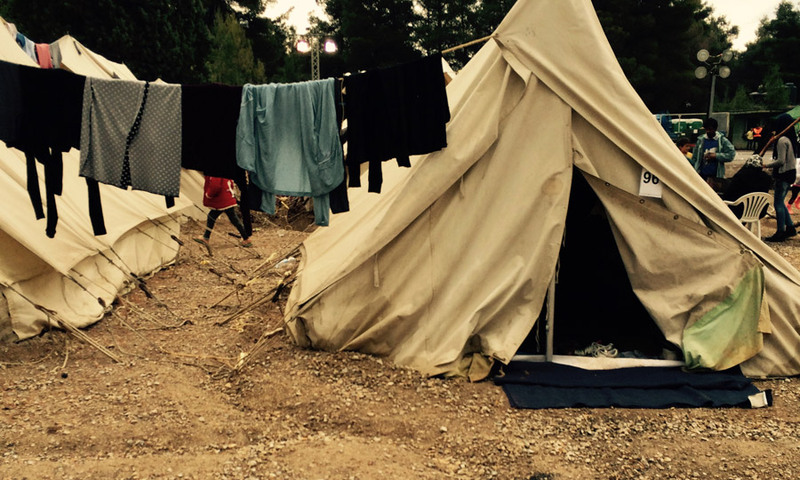 Located in a forest near Chalkida, it is run by the military and International Organisation for Migrations (IOM). As living conditions are bad, hundreds of residents have in the meantime moved on to shelters in Athens or have left the country with the help of smugglers. Echo100Plus started to provide its services at Ritsona camp at the end of March. a refugee strike evicts all NGOs from the camp except for Echo100Plus. Our volunteers remain to distribute food and other necessities. Echo100PLUS initiates a Humanitarian Hub project. An appropriate building is located. Official opening ceremony with the Greek Minister of Migration and representatives of The United Emirates, sponsors of the Isoboxes to Ritsona, on November 23rd. Again, thank you all so much for your interest and on-going support! Thank You to: Aegean Solidarity Network Team UK, Carry me Home, Demner, Merlicek & Bergmann, Desmos, Echo100Plus UK, Flourish Foundation, Global Giving, IOM, Karl Kahane Foundation, LDS Charities, Leros Solidarity Network, London for Refugees, Mashu Marefu Onlus Foundation, Mercy Corps, Move for Humanity, MyShoe, Sadie Coles Gallery, Samaritan Purse, Solidarity Symi, Star Fish Foundation, Supreme Master Chan Hai, Swiss Alpine Club, Tsadik Foundation, Unilever, Wings of Help. ©2016 Echo100PLUS. All rights reserved. Unfortunately, the situation in Greece has not turned to the better: Although numbers of arrivals had dropped significantly after the implementation of the EU-Turkey agreement in March 2016, the influx has recently picked up again. With approx. 14,800 people arriving since September, the camps on the islands are - once again - overcrowded. 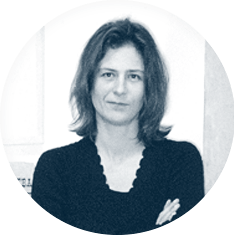 At the same time, EU funding for international NGOs has subsided as of last summer, and as a result many have left Greece, leaving behind a precarious void, that authorities are unable to fill. The reception conditions on most of the islands are deplorable. This demands the urgent deployment of additional staff, especially in the areas of health, psychosocial support and protection of unaccompanied children. The increase in arrivals and inadequate reception conditions on the islands have created tensions and anger amongst some local residents. Medical services in the hotspots on the islands remain limited as the deployment of national service medical staff under the Ministry of Health has not been completed yet. This affects access to primary healthcare and psychosocial support for asylum seekers and migrants and creates severe delays in the vulnerability assessment. 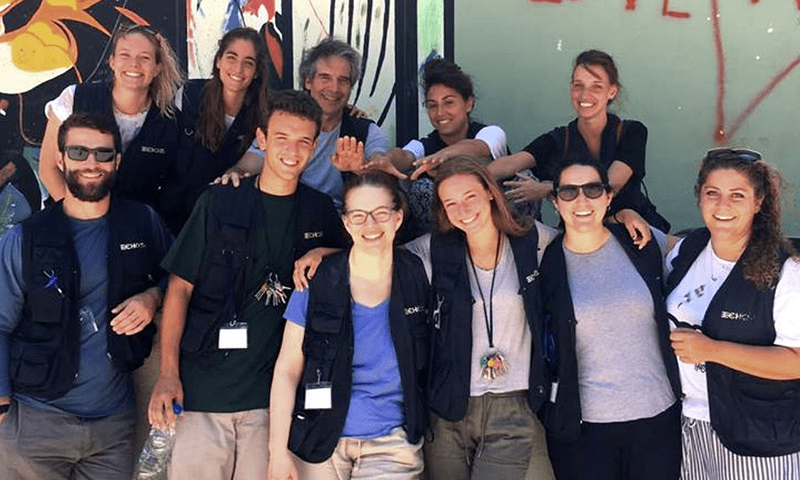 With the tireless support of this year’s 250 volunteers, Echo100Plus was able to continue its two main projects in Greece, one on Leros Island and the other at Ritsona Refugee Camp on the mainland. 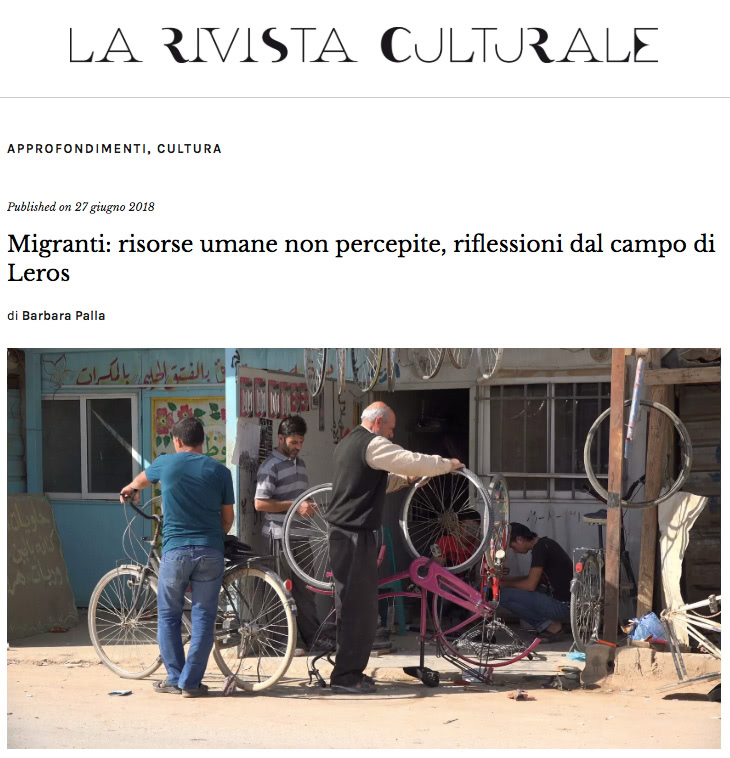 Through our own Echo-Hub, we managed to further enhance our services on Leros, now offering a wide range of educational and recreational activities to the stranded camp population. 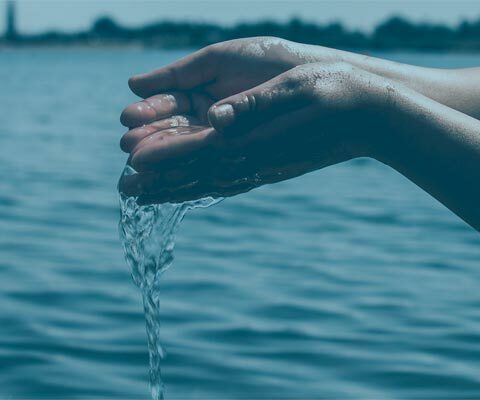 At Ritsona, we played a key part in the logistics of basic care by distributing water, food, and clothes, and by soliciting and arranging in-kind donations. A few weeks ago, we ended all our operations at Ritsona, definitely with a laughing and a crying eye, but after one and a half years on the ground, and under the impression that the camp residents are in the meantime well attended by other NGOs, we felt it was time to move on. We are currently reviewing new projects. Setting up the ‘Ritsona Boutique’ as a new and more dignified way of distributing clothes and shoes. In December 2016, we launched the Echo-Hub, a day centre offering a range of classes, activities, and events for adult refugees AND local people. Refugees, stuck on the island for months until they get the decision of the asylum services, need and seek an outlet from the island’s “hotspot,” a prison like, cramped container compound run by the Greek authorities. By providing a space, where members of the host and of the guest community can meet, exchange ideas and develop skills together, we hope to contribute to the individual’s mental well-being and to the community’s peace. The Echo-Hub offers a full range of services as well as access to professional staff, a technology lab, a small library and other educational resources in an attempt to prepare and support adult refugees facing arduous challenges of migration and integration. And a variety of other projects and events. *Most courses on offer are co-educational, but in order to encourage more women to join the Hub activities, we provide ‘women’s only classes‘ and dedicate one afternoon per week to ‘women only activities‘. 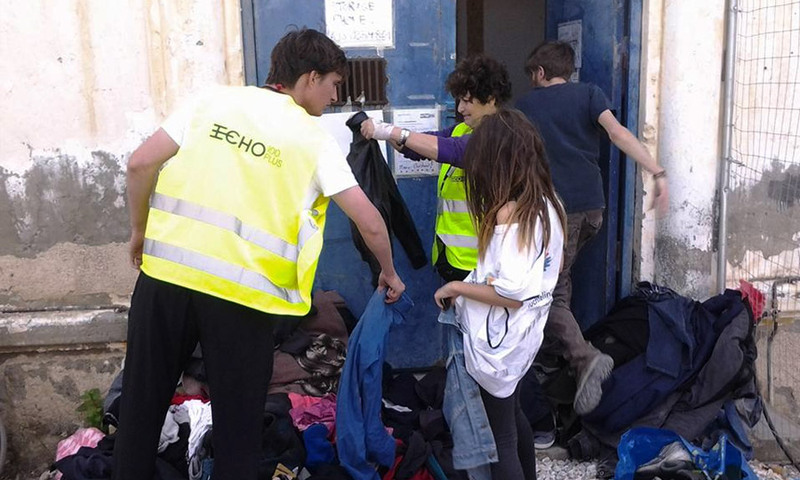 In addition to our educational programme, Echo100Plus runs the so-called Hub-Boutique, that is regularly stocked up with donated and purchased new clothing. Individuals and families can try on and chose their clothes in a dignified way. 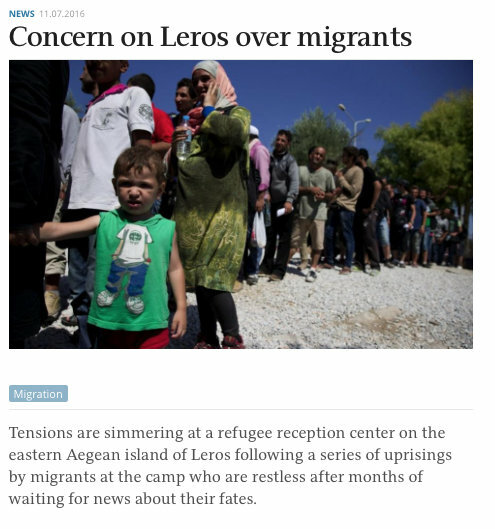 Due to the refugee influx, the local community of Leros has been under stress for almost three years now. Consequently, Echo100Plus tries to support the island by including the local community in the Hub’s services. Locals are actively involved as teachers and students, and they also have access to our clothing Boutique. Further, we source necessary goods and services locally whenever possible. Echo100Plus currently employs seven local teachers and coaches to encourage the local community to take ownership and guarantee the Hub’s sustainability and quality of teaching. After the refugee population on Leros had doubled to well over 900 in November, speeded up transfers to the mainland have reduced the number to about 700 people. Still, the ‘hotspot’ is overcrowded and all services are under enormous strain. Currently, our main focus is to cope with the growing demand for our services whilst providing a warm and welcoming atmosphere. Given the success of our Echo-Hub on Leros, we are now reviewing opportunities to replicate this model elsewhere in Greece. – As we rely solely on your donations to continue our operations and to potentially expand our mission, we very much hope you will support us going forward. The Echo-Hub is a hybrid model. Overall management of all activities are conducted by our volunteers, who also teach various language classes. 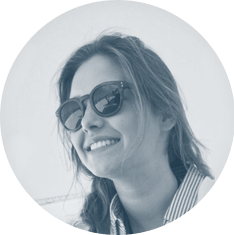 For English lessons (5 different levels, from pre-beginners to proficiency level), for Greek and for IT classes we hire local teachers to provide a solid curriculum. This guarantees consistency and professional teaching, and supports the local population. Our new consultancy program guides our students through the application process of Education Scholarships in Greece funded by American colleges. We oversee the development of their candidacy. We are very pleased for our students who have been granted scholarships this year and are now fundraising to finance their lodgings and upkeep during their studies. We need funds to support our volunteers by providing accommodation and travel for those who are keen to serve, but cannot afford to do so. Echo100Plus prides itself on including anyone who is willing and able to help build an effective team. In order to keep our “Boutique well stocked to sustain regular clothes distribution to new arrivals and local people in need, we need clothes donations or funds to buy new. Thank you to all individuals who donated so generously – big and small! A special thanks to our family and friends who purchased the first and recently a second van to shuttle our Hub students back and forth from the hotspot! Thank you to all volunteers who joined us – we are nothing without you! A special thanks goes to the Kahane Foundation! 180Degrees Consulting Bocconi, Aegean Solidarity Network Team UK, All Saints Church Stanton St Bernard, Asociación Amigos de Ritsona, Blue Star Ferries & Agoni Grammi, Carry me Home, CHK Charities LTD, Columbia Alumni Association Greece, Crystal Falls Productions, Demner, Merlicek & Bergmann, Desmos.org, Earthblink, European Bank for Reconstruction and Development, ELBISCO AE, Elpida Home, Ersel Societa’ Di Intermediazione, EUROPALSO, Fernland Holding LTD, Global Giving Foundation, Goodscare GmbH, Grazer Wechselseitige Versicherung AG, Hope Worldwide Utah, International Sports and Music Projects, Joined Hands, Kahane Foundation, LDS Charities, Linguaglobe, London for Refugees, Maisha Marefu Onlus Foundation, C.V Maragos International Forwarding, Mercy Corps, Mishcon de Reya Law Firm, Morley College and Relay for Refugees, Move for Humanity, N.I. Minoglou A.E. (MyShoe), Neighbors in Need, Pampiraiki Support Initiative for Refugees and Migrants, PAPOUTSANIS SA, RED CHAIRity, Ribbink van den Hoek Familie Stichting, Sadie Coles HQ Gallery, Samaritan Purse, Save The Children - Leros, SCARF, Silverstone Auctions, Seven Gates Cafe – Leros, Solidarity Now, Solidarity Symi, Starfish Foundation, Tassos Rent a Car – Patmos, Trend Trust SA, UNHCR – Leros Field Office, Ventana Club, Vitol Services Ltd, Wolff Olins, YALI-Murano Glass Design. In Greece, the number of refugees and migrants arriving by sea reached its highest levels since March 2016 with 4,900 people arriving in September, a 60% increase compared to September last year and a 36% increase compared to August. As of 30 September 2017, over 20,000 refugees and migrants had reached Greek shores in 2017, compared to 166,800 arriving in the same period last year (an 88% reduction). Arrivals mainly originate from the Syrian Arab Republic (40%) and Iraq (20%). Most arrivals in September have been to Lesvos (49%), followed by Samos (20%), Chios (12%), and the South Dodecanese islands (13%). In addition to the sea arrivals, an estimated 3,300 people have arrived this year at the Evros Greek-Turkish land border, based on provisional data as of 30 September 2017 with over 1,000 crossing via this route in September. Relocation: According to the European Commission (EC), 29,698 asylum-seekers have been relocated from Greece and Italy as of 04 October 2017, including 20,410 from Greece (out of 66,400 originally foreseen, 30 per cent of the total) and 9,288 from Italy (out of 39,600 originally foreseen, 23 per cent of the total) respectively. Resettlement: To date in 2017, 16,535 persons have been resettled to Europe. On 11 September, UNHCR issued a global call for an additional 40,000 resettlement places to be made available for refugees located in 15 priority countries 10 along the Central Mediterranean route. Returns: In September, 29 people were returned from Greece to Turkey on the basis of the EU-Turkey Statement. The total number of people returned in accordance with the EU-Turkey Statement is 1,336 as of 30 September 2017. ©2017 Echo100PLUS. All rights reserved.